There’s a reason some folks can take on an array of different responsibilities without batting an eyelash. After reading this, you too will do your work without being overworked. In the end, that’s all that matters. Finding the best possible methods that insure you’re not burning the midnight oil. Which in turn, creates that work-life balance everyone always raves about; ourselves included. These are our top five ways to ramp up your productivity regardless of what you do for a living. You probably saw this one coming, didn’t you? While this is on every other blog’s list, they don’t necessarily tell you exactly how to get organized. Sure, some will suggest apps you can download or online services you can benefit from. Most of those are connected to affiliate marketing links and/or the website’s own service. So, how exactly do you get organized. In one word, notepad. Physical or digital. 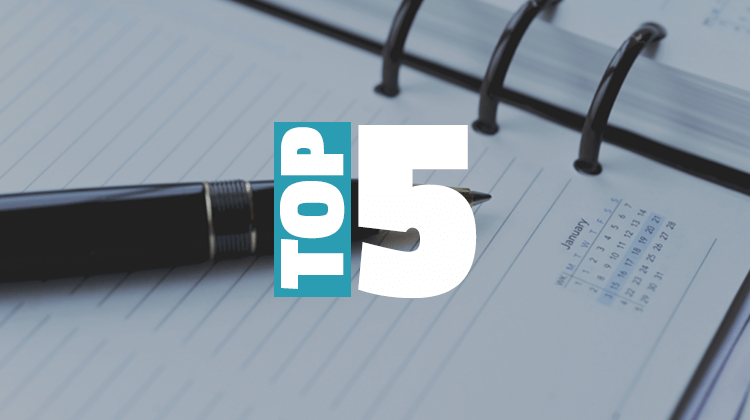 We’ll leave the plethora of apps and physical notebook styles for another top five list. Personally, I found that separating your to-do list into three categories–which can include sub-categories–works best. 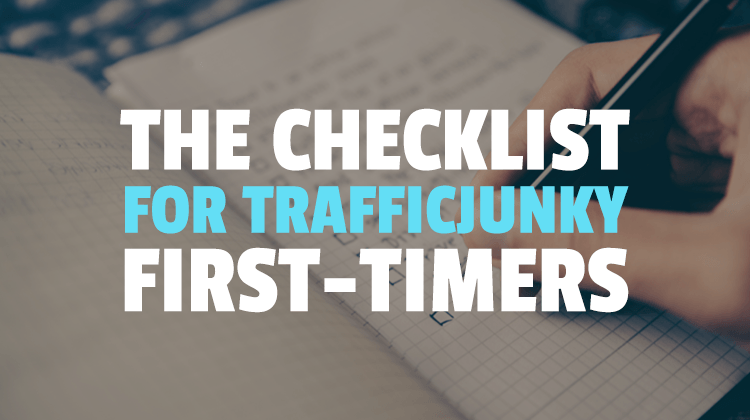 The top of your list should feature general tasks, like sending emails or researching your next blog post. Secondly, you’ll want to list your meetings. Considering you’re unavailable during this time, you want a very clear view of when that will be. Lastly, write down the things you need to execute. For example, if you spend most of your day opening support tickets, create a Tickets sub-category. List every single ticket that needs to be opened–as they come to you by email or whatever other system you use–and check it off once your task is completed. Once you’re at the tail-end of your week. 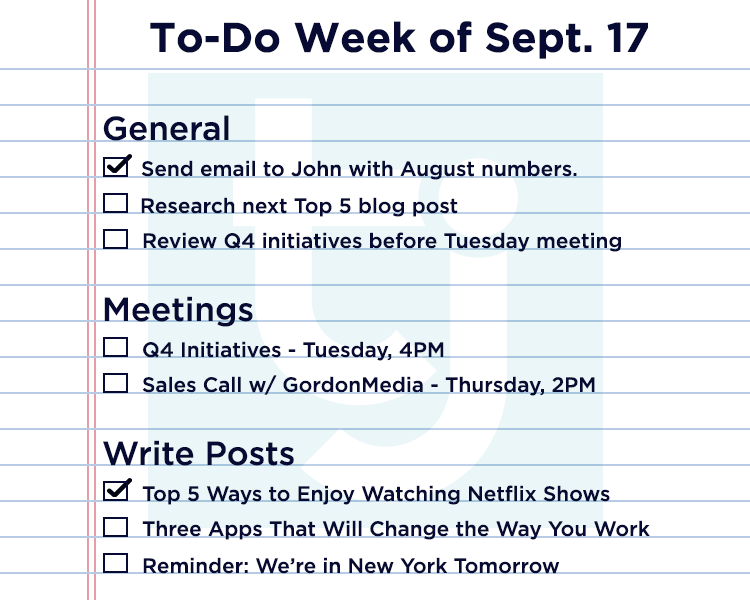 Create a new to-do list for next week and migrate your uncompleted items to that list. Another thing that helps is adding a deadline–or when you’d like to accomplish this task–in parenthesis next to the item in question. Look, we’re not saying this system works for everyone but it’s worth a try especially if you’re not organized to begin with. I see you scoffing at this one. Tsk, tsk. Depending on what line of work you’re in, you’re definitely sending out a minimum of five emails a day. That said, since we’re trying to be more productive we try to simplify what we want to say. Otherwise you’re wasting a ton of time writing emails while you should be doing something else. Don’t get me wrong, a paper trail is important and it helps to have one if projects go awry. This doesn’t mean you should be emailing me the Great American novel. 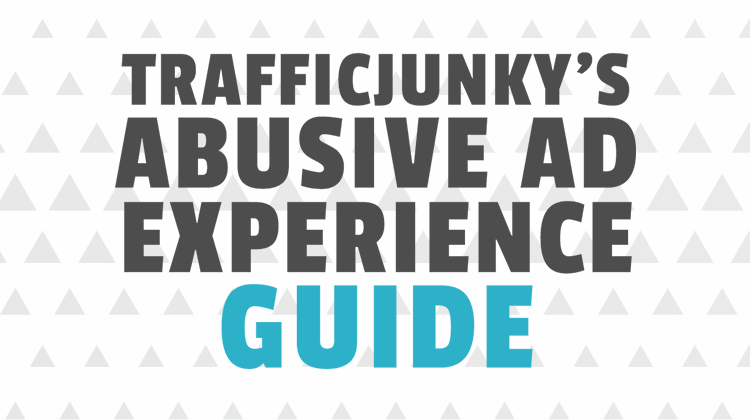 Keep everything succinct and highly readable–sorta like most of our blog posts. As discussed earlier, we’ll be going with the second option since it was a little more brand-oriented. Please forward over the updated media kit at your earliest convenience. Notice how I didn’t talk about my kids or mention the latest piece of Star Wars fan fiction I wrote over the weekend. I followed up on the last email/conversation we had and ended it with a deliverable. Had this been a sales email, it would have ended with an open-ended question i.e. “what are your thoughts on this?”, “when would be the best time to connect?” or “what’s your credit card number?”. You’re no good to anyone if you’ve been typing away at your desk for the last four hours. Your eyes start itching, your head starts hurting and frankly I’m pretty sure you have terrible posture. Go for a walk, grab a coffee or simply ride the elevator. Remember, this can also boost your creativity. The lovely folks over at The Atlantic have an interesting “work for 52 minutes, break for 17” theory based on some research from Hiroshima University. Remember that to-do list from above? Find the hardest thing to accomplish on that list and get it out of the way. We’re aware things like meetings and discussing last night’s professional Football contest might hinder you from doing so. Just like your emails, keep that conversation short and focus on eating your frog. Whether you’re writing a proposal for a potential client or a report for your manager; you won’t know where you’re going unless you ask for directions. Before launching yourself into a project–big or small–make sure you’ve covered all the bases. Don’t underestimate the power of questions like “when do you need this by?” and “what are you looking to achieve with this?”. Anything that will help you understand exactly why you’re doing something will help you execute. Better execution is directly connected to productivity. What about you, what are some of the ways you stay productive? Comment below!